Showing 2 articles from September 5, 2017. As of September 1st I am declaring my candidacy as a write-in candidate for the position of Mayor of Winlock. I have made this decision after seeing the stagnation of the city and going to two very dysfunctional city council meetings. 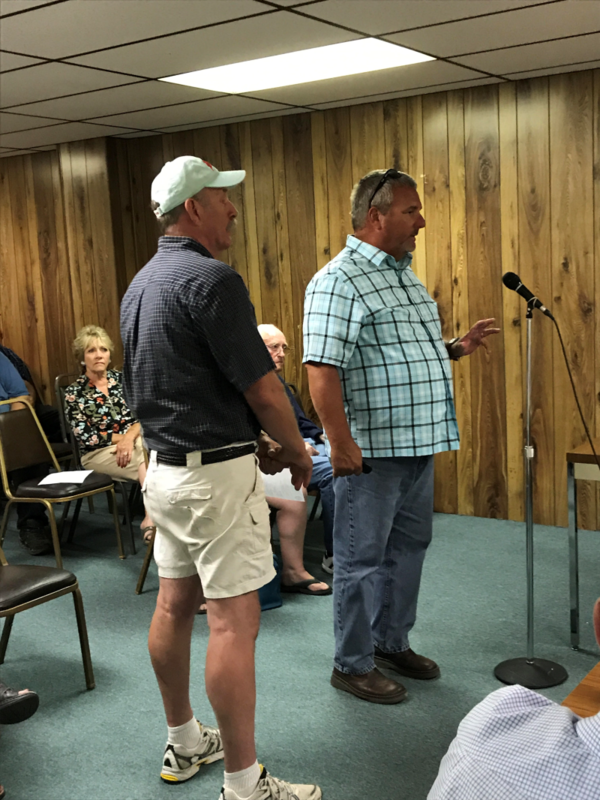 Photo by Lynnette Hoffman - Jim Henderson, President of the Lewis County Senior Board and Bobby Jackson, County Commissioner speak to the Winlock City Council about ownership of the Olequa Senior Center during Monday's city council meeting. Spilling into the street, the Winlock City Council meeting on August 28 ended with contention over the ownership of the Olequa Senior Center. There are several events that occurred which have upset the seniors and volunteers at the center. The City Council started to discuss the senior center on record in their July 24 meeting and has continued since that date.